The Burckle family roots go deep in the sport of swimming, and they have always been each others’ biggest supporters both on the national and international platforms. 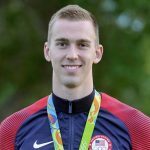 With his swimming career behind, Clark Burckle focuses his enthusiasm into propelling his Fitter and Faster participants toward their big goals! Clark’s creativity shines through with technique instruction, translating his elite experience to the level of his participants. Whether he takes bets on how far participants think he can execute a pull-out or challenges swimmers to attempt a new elbow position in breaststroke, his effortless rapport with swimmers of all ages may be the platform from which they can achieve their own breakthroughs! Clark emphasizes three main points: body line, breath control and distance per stroke. These concepts also translate to each of the competitive strokes, as drag-reduction and maximum power utilization are essential to fast swimming. 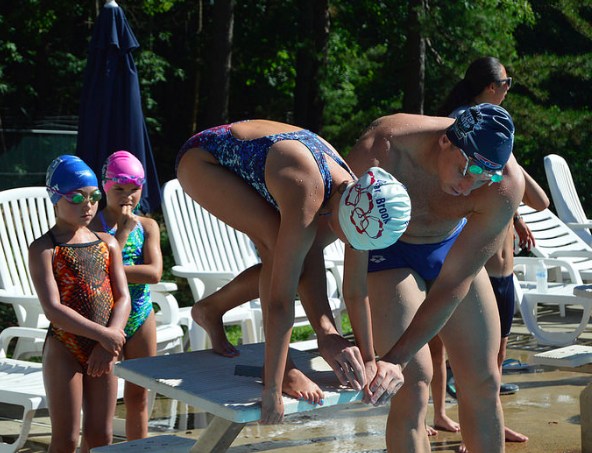 He models each drill and skill with the swimmers to ensure proper understanding of the instructional content. Feedback from Burckle’s clinics is phenomenal: “He would describe a drill in detail, he would perform it twice and then let the kids do it. He was giving TLC to swimmers who were struggling with it. The high fives and fist pumps were great, and the shaking of the hands with the kids after he raced them meant a lot!” one parent raved. 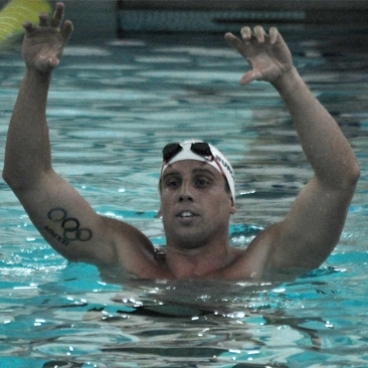 Clark also encourages an inquisitive attitude toward race strategy, stroke technique and training. After all, the turning point of his swimming career happened after stepping out from the shadow of his family to become his own swimmer and push the boundaries of his own skills. Leaving behind the security of three years of swimming at University of Florida (where his sister attended), Clark transferred to Arizona his senior year in order to best accomplish his elite goals. 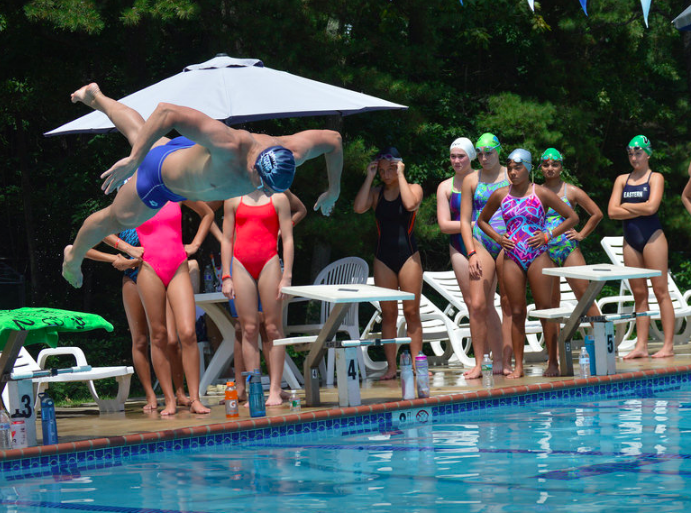 Swimmers attending his clinics are guaranteed to see the fun in swimming, leaving with a renewed love for the sport. Success is a byproduct of investing in your training and taking risks. 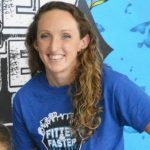 Invest in your swimming success by signing up for one of Clark’s next clinics!